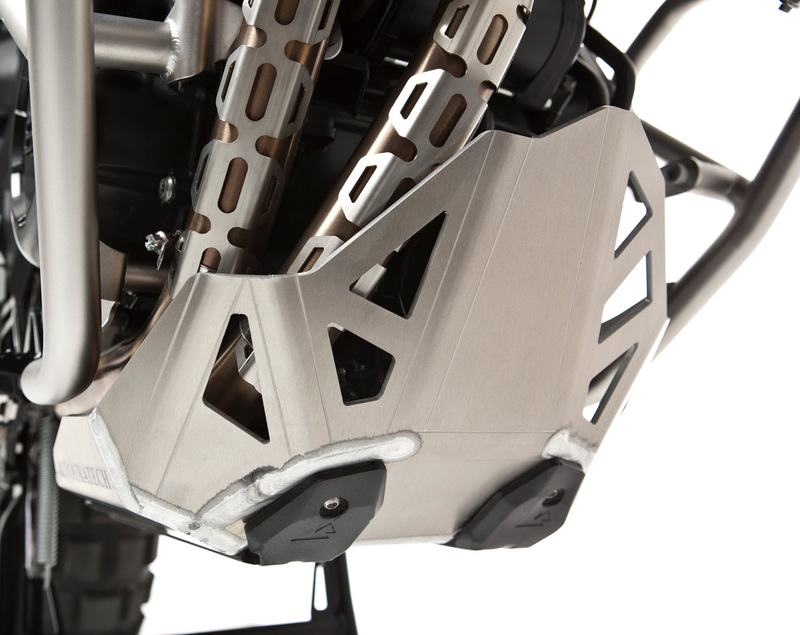 Largely just thick metal plates designed to take a beating, skidplates don’t really see a lot of innovation. 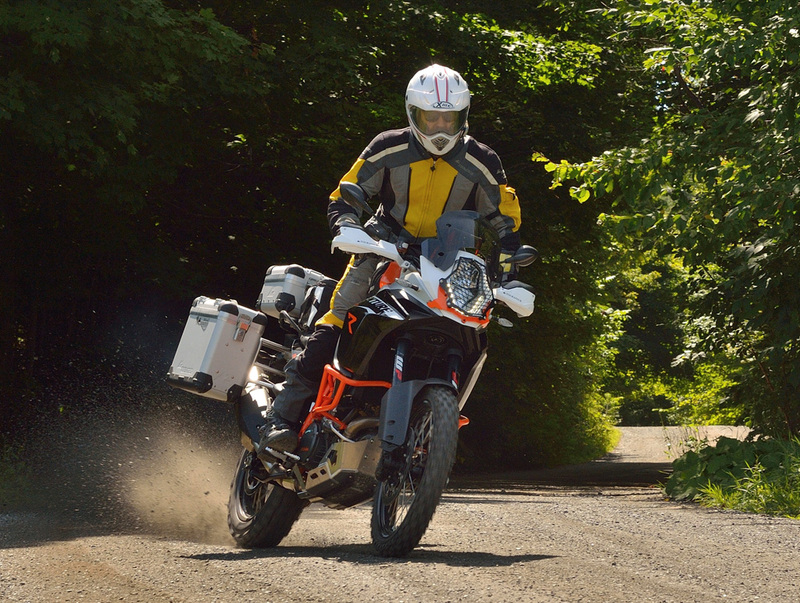 Now Touratech has upped the game, by adding replaceable polyamide nylon sliders – important protection for bikes like the 2013 R1200GS that has no frame underneath the motor to protect it from hazards. 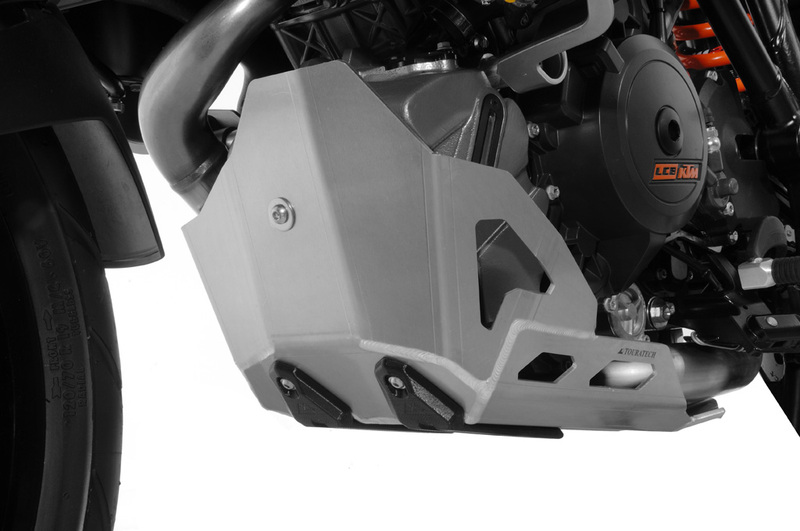 Touratech has set a new standard for engine protection with their line of Expedition Skid Plates. 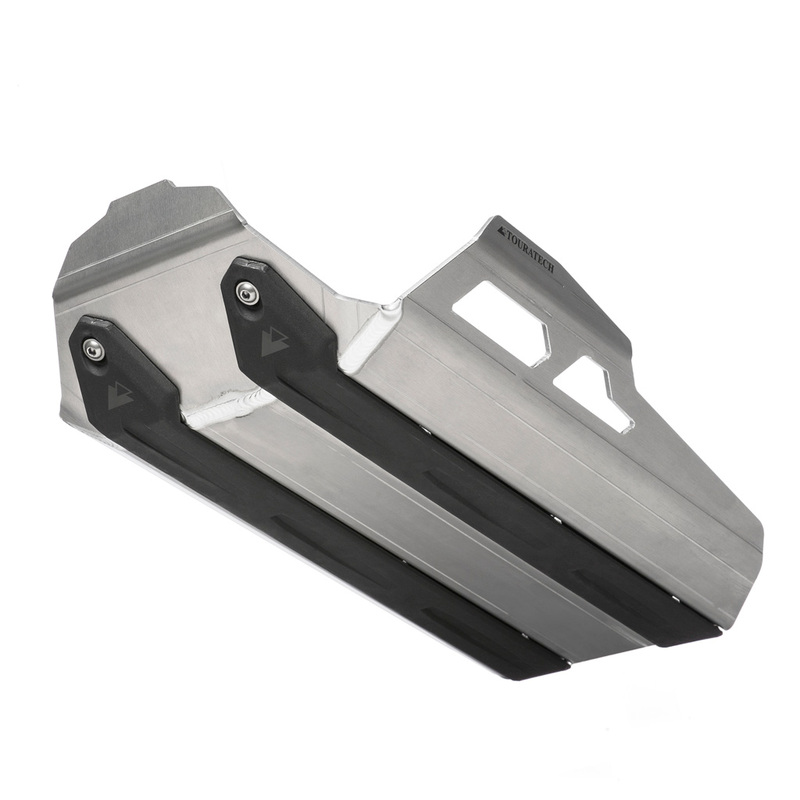 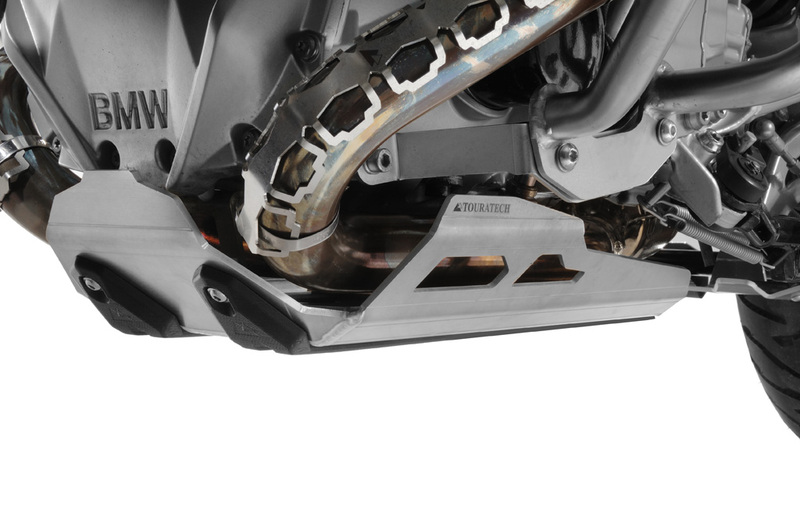 Built to withstand the rigors of a serious expedition or a wild weekend ride, Touratech’s Expedition Skid Plate features an ultra-strong stainless steel sub-mount, 4mm thick aluminum shell construction (with corrugated channels for extra strength) and replaceable polyamide nylon sliders.